Tyler the creator has embarked on another endeavor in which he’s no stranger to. The Grammy-nominated artist has inked a new deal with Sony Pictures Television. 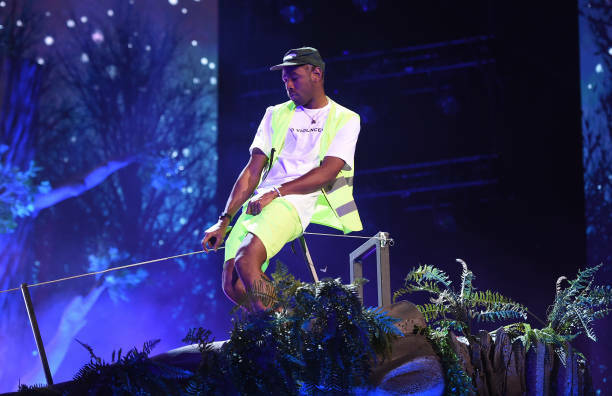 “To be partnering with the creative genius of Tyler, the Creator, and Lionel Boyce is a dream come true for us as we’ve long been fans of their work,” said Jeff Frost, president of Sony Picture Television, to The Hollywood Reporter on Wednesday. Collaborating with Lionel Boyce, Tyler the Creator’s deal with Sony includes both scripted and unscripted projects. Tyler’s previous television projects include Loiter Squad and The Jellies. Next month, Tyler will be gearing up for his annual festival, Camp Flog Gnaw. The festival will take place on November 10th -11th in Los Angeles.